Lytton Smith is the translator of several Icelandic books, including, most recently, Ófeigur Sigurðsson’s Öræfi. In reviewing the novel for Splice, Alec Dewar called Öræfi “a gleefully byzantine, oddly proportioned, confounding, compelling, and finally operatic achievement”, and described Smith’s translation as “a breathtaking feat”: “In Smith’s hands… every line, every phrase, sounds entirely natural, and there’s no flagging or stumbling in the momentum and rhythm of the whole.” In addition to his work as a translator — with other credits including books by Jón Gnarr, Bragi Ólafsson, and Guðbergur Bergsson — Lytton Smith is the author of two collections of poetry from Nightboat Books and a chapbook, My Radar Data Knows Its Thing, produced in collaboration with the artist Steven Fitzmaurice. 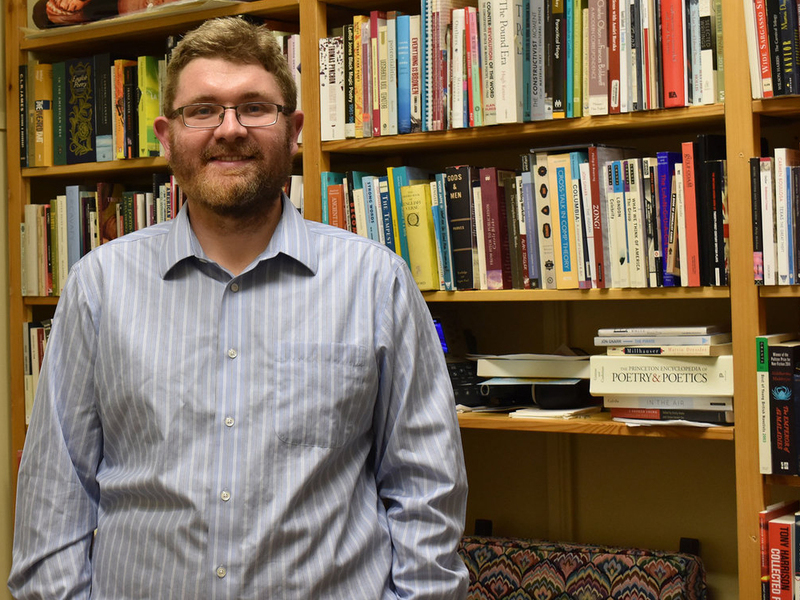 He is also an assistant professor of English and Creative Writing at SUNY Geneseo. To mark the publication of Öræfi, he generously set aside time to talk to Alec about the pleasures and challenges of translating the novel. 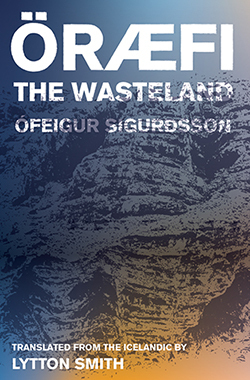 Öræfi is Ófeigur’s second novel, but the first to be translated into English. Can you give an outline of his stature in Iceland before its publication? How was his early work regarded? Ófeigur has had a strong presence in Iceland for a while now. His first book, Skál fyrir skammdeginu (Cheers to the Winter Darkness), was a collection of poems that came out in 2001, so he has been building his reputation for fifteen years or so. His 2011 novel Jón cemented that reputation; it won the European Union Prize for Literature and made him the first Icelander to enjoy the honor. It also endeared him to many Icelanders, as it’s about a real historical figure who has near-mythical status in Iceland: Reverend Jón Steingrimsson, an eighteenth century clergyman, who was preaching a sermon, now known as the Fire Mass, as the volcanic mountain Laki erupted. He continued preaching to his congregation as the lava approached (a story referenced in Óræfi) and, the saying goes, the lava stopped before the sermon did, just short of the church, leaving everyone inside safe. Jón really put Ófeigur on the map, both in terms of its content and its reception. And how did that situation change with the reception of Öræfi? Öræfi came out three years later, 2014, and was in its fifth printing within three months. It also won prizes, including the Icelandic Literature Prize, and was one of the bestselling books of the year. So Ófeigur is popular as well as critically acclaimed. I found the book thanks to Jón Gnarr, former mayor of Reykjavík, whose trilogy of autobiographical novels I translated for Deep Vellum. Jón loves it, and raved about it to Will Evans at Deep Vellum. Over time, Öræfi is a book that various Icelanders have mentioned to me, noting its eccentricities in very approving fashion. I feel like it’s a really interesting work in terms of genre. Ófeigur started published with experimental publishers, and that sense of avant-garde riskiness is definitely in Öræfi, where entire locations can transform without warning or obvious logic. But in a strange sense it’s also like Andri Snær Magnasson’s acclaimed political nonfiction treatise (later a movie) Draumalandið – Sjálfshjálparbók handa hræddri þjóð (Dreamland: A Self-Help Manual for a Frightened Nation), which tells the story of Iceland’s present environmental and cultural crises in a digressive manner. With Jón and Öræfi, I think Ófeigur’s work has developed a style of historically-rich yet sprawling writing that’s able to weigh in on and even satirise contemporary political situations, and to do it all while having tremendous drama and narrative speed. It’s not a misrepresentation to describe Öræfi as a glacier thriller about a man lost in the ice, even though it’s clearly so much more than that — including a primer on obscure shepherding laws and conventions! That’s an incredible success story. It sounds like every experimental writer’s wildest dream come true. Of course it’s one thing for a book to be both popular and critically acclaimed, but this is really something else because it’s hard to imagine that a similarly extravagant, experimental work of English-language literature would come anywhere close to selling out its first print run, let alone its fifth! Just before we get to the particulars of the novel itself, can you say what it is that its Icelandic readers were responding to? What need was this book satisfying amongst the reading population? The Icelandic language doesn’t have two distinct words for story and history. It uses the same word, saga, and so those two ways of writing are more closely connected for Icelanders than they are for us. The famous Icelandic sagas are the beginnings of Icelandic literature as well as essential records of the historic pasts. They contain history, yet they’re dramatically rich and read like novels. Öræfi, combining historical research with mountaineering mystery, taps into Icelandic expectations and aspirations for literature at a quite deep level, but it also plays with them: for example, with its forays into the Necronomicon and death metal. Many of its wonderful digressions allow Icelandic readers to meditate on their own national, cultural identity: why forests do/don’t matter to them, what their attitude is to outsiders and tourists, and so on. Also, I find the book to be wittily but quite pointedly skeptical of the myth of Iceland, of too much buying into positive narratives of the country (although I’m influenced by having started work on it right after translating Guðbergur Bergsson’s dyspeptic modernist classic Tómas Jónsson, Bestseller, so that slanted my reading), and yet it’s so aware of the Icelandic past that I think it has enough for pro-Iceland Icelanders, too. It works as a great, page-turning read, but also as a reflective, cerebral book. And Icelanders are not only voracious readers, widely-read across cultures; they’re attentive readers, engaged and thinking along with a book. So Öræfi will have had a satisfying richness to it for them, an intellectual heft, in addition to being a bit of a thriller. Lastly, I think the choice of region, Öræfi, is significant. The novel is a love song to this once-blighted, historically-significant area that bears the marks of lava destruction but also has fertility, partly because of the mineral richness of lava. It’s not the case that no-one has written about the area, but it deserved a contemporary novel, and I think that choice appealed to some Icelandic readers. There are definitely some similarities between Öræfi and Tómas Jónsson, Bestseller, especially at a structural level, with stories within stories within stories. But one of the differences that sticks out is the different treatment of language at the sentence level. Tómas Jónsson has a lot of wordplay and punning, whereas the prose in Öræfi puts more energy into long, elaborate run-on sentences, lots of nested clauses, sometimes almost as stream-of-consciousness. How was the experience of translating Öræfi different from translating Tómas Jónsson? I love that you’re picking up on energy and momentum, the run-on quality of the book: I think Ófeigur’s style in this book is a neat match for the precipitous way Bernharður organises his life, and also perhaps for some of the fervour with which the various administrative organisations in the book try to “fix” a problem by acting first and thinking about it later. While there’s a shared episodic/digressive aspect between this and Tómas Jónsson, Bestseller — and it was fascinating to work on them back to back! — the digressions in Öræfi are less whimsical, deeper-entwined, in a sense, than in Tómas. I do think, though, that the two books share punning: one of the things I remember wrestling with, and Ófeigur worrying he’d have to give up on, is the set of puns around “cumin,” which emerge in English in part via a pun on “come in,” for instance. I love that in translating fiction — especially such creative, freewheeling fiction as this — one gets to “compensate”, to use a technical term from translation studies: you might lose something in one place but find an equivalent you can add in another. Wordplay rarely exactly matches across languages, but you can aim to create matching effects for readers in both languages, and Ófeigur gave me a lot to work with. And, as a poet, a novel about toponymy that hones in on the meanings of words, especially place names, is a real gift! Was there anything this time around that gave you pause, that stretched your capabilities? The combination of many narrative voices, nested inside one another, together with similarly nested different chronologies. There are many moments where a character is writing something down that someone has just told them, but we only know that because it’s been written down by another character (sometimes the first character, but at a different point in time). I wanted to make sure there was a distinctive quality to different voices, especially Bernharður and Dr. Lassi, because they’re drawn differently, but also to try to make sure that Bernharður’s voice prevails, for reasons that will become clear to readers (the mystery element of this thriller). I think Icelandic can handle tense more deftly that English — in part because English relies on extra words, what (some) linguists call temporal modal auxiliary verbs — and so I was trying to make sure the translation stayed nimble. I’m glad it might have a stream or current to it. When you say that Icelandic can handle tense more deftly than English, does this mean that the original text has a clearer sense of which character is speaking at any given time because each of the narratives are reported at different times (granted that Bernharður is ultimately the narrator)? I don’t know if there’s a clearer sense of who’s talking at a given movement, because one of the things that works so beautifully about Ófeigur’s narrative is that you can forget whose story it is, get swept up in it. Bernharður ultimately ends up in Iceland because of the power of words, via National Geographic, and the novel repeatedly considers what happens when words do or don’t get tended. I think my point about tense might really be about voice, now that I think about your question: Icelandic strictly only has a simple past and simple present tense, but it has three voices: active, passive, and middle. Middle voice does a range of things including reflexivity and reciprocity, and while I can’t know if Ófeigur’s conscious of that, there’s a reciprocity of narration in the nesting of speakers, for sure. Also, Icelandic loves a subjunctive mood, a way to express something hypothetical or conditional or polite, and that adds to the dream-like aspects of the book, like when several characters have one of those late-night-seeing-the-world-for-what-it-really-is conversations by telepathy! You’ve said in an interview before (with Veronica Scott Esposito) that Icelandic “insularity” — as it comes across in Icelandic literature — doesn’t mean navel-gazing so much as it means being aware of a world beyond the island. This prefigures something that was said to me by Brian FitzGibbon, who translates the novels of Auður Ava Ólafsdóttir; he notes that there’s a tendency for Icelandic authors to write about Iceland from a perspective that almost looks at the nation from outside it. Do you see that sort of thing at play in Öræfi too? What is Ófeigur getting at with a protagonist who comes from outside Iceland, but is (academically) more in tune with its toponymy than the locals? I love that point of Brian FitzGibbon’s; that’s so insightful. Yes, in a kind of “middle voice” way (if I can push that metaphor), Bernharður is both of Iceland apart from it, a tourist. A lot is made of him having grown up speaking Icelandic, being able to understand The Regular, and that’s not only narratively practical, but also a way to explore that sense of being inside and outside at the same time. Öræfi as a region is a kind of mini-Iceland, at times the purest form of Iceland, but still only one region of it, one which many others don’t understand, or tend to mock, and which for years they couldn’t easily access; it has a fairytale kingdom quality to it. I think there’s a real question about what it means to belong. After all, Bernharður is more aware of toponymy than many locals, but he’s aware at times in the pejorative sense of the academic, which is to say the impractical: for many characters, place names matter in so far as they are navigable, which is something Bernharður admires about Koch’s naming. I think of Öræfi as a novel that complicates regional and national identification — often when characters try to fit in with a preconceived sense of something, they run into disenchantment or even tragedy. And that point of Brian’s helps explain to me why it felt important that Bernharður be the name in the English translation, not Bernhard, as it might be in Austria: he’s inside-outside, not separable from Iceland despite visiting it for the first time. That idea gets taken up in this thorny issue of what trees and fauna are “native” to Iceland; the book is always unpicking origin stories, reminding us that they are attempts to wield power rather than understand or preserve knowledge. On that note, it’s interesting that Bernharður, from Austria, shares the name of one of Austria’s greatest writers, Thomas Bernhard. In fact, Bernhard is name-checked in Öræfi and seems to have been a pretty powerful influence on some parts of the book. Putting him aside, what other influences can you see at work in Öræfi? Contemporary Icelandic literature is fascinating in the ways it’s in conversation with European (and sometimes American) authors. It often seems to me that Icelandic writers are keen to enter into conversation with more well-known writers and literatures, and to explore what an Icelandic version of, say, a Bernhard story or style might be. That said, Öræfiis particularly steeped in reworkings of Icelandic stories, sagas, and myths, down to the fact that the park ranger, Edda, takes her name from the title of two key medieval Icelandic collections, the Prose Edda and the Poetic Edda; the former was written by historian Snorri Sturluson around 1220, and Edda is actually referred to as Snorri’s-Edda at one point, a joke on the fact that the Prose Edda is called Snorri’s Edda by many who reference it. So, at times, characters are less humans than manifestations in Bernharður’s mind of Icelandic mythology, literature written into the landscape through which he travels. For me, Apsley Cherry-Garrard’s The Worst Journey in the World was a key touchstone for the novel, although I’m not sure if it’s true for Ófeigur; I love to think of him holed up with all kinds of Arctic exploration literature, especially dismal narratives, but I haven’t asked him that. I know he was doing a lot of archival and historical research — newspaper articles from the book’s various time periods, for instance — and so the sense of the book as documentary, as history itself, is crucial. That’s where the bizarre name of one of the horses comes from, an actual newspaper misprint. That I don’t know more about the influences of the book stems in part from my process as a translator; I like to try to get lost in the style of the book at hand, and tend to resist too often following the book’s own influences (I didn’t set Pandora to a death metal station, for instance). That could be a shortcoming, but I’m trying to tune in Ófeigur and Bernharður; where I notice influences, I like to use them as reference points that help to keep me stylistically on track, and there are some sources that you need to have read for a book, but I’m not trying to replicate everything Ófeigur knows, of course. Finally, any thoughts on why it’s taken this long for Ófeigur’s work to be published in English? I don’t know, except for the fact that there are fewer translators, and publishers able to keep up with the translators, working on behalf of the nation that produces more books per capita than any other in the world. But I do think it’s fitting that Öræfi is the book that gets translated: it has a non-Icelandic protagonist, which offers readers an entry point, and is at times about what it means to be a tourist; it’s also a more realistic look at Icelandic culture than the glossy commercials and tourist-friendly YouTube videos we’re flooded with. Still, I’d love to see a press take on Jón: there are definitely Anglophone readers who would read about an eighteenth century cleric in Iceland living in exile in a cave and writing letters back to his pregnant wife, up North, whose former husband he is accused of killing… That’s not an obscure footnote in the history of a far-off island but a fascinating drama in its own right! Alec Dewar is a researcher in contemporary Nordic literature at St. Andrews University, Scotland. His essays and reviews have appeared in Scandinavian Studies, Scandinavica, and Edda. He wrote exclusively about contemporary Icelandic literature for Splice throughout 2018, and his book on the subject, Look North, will be published by Splice in 2019. 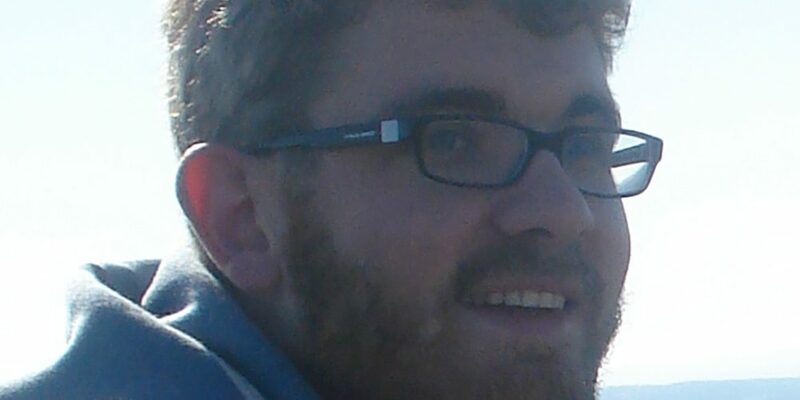 He continues to contribute to Splice on an occasional basis and takes care of social media, tweeting @ThisIsSplice.